Welcome to the official website for the Brunette Races held in June of every year. The Brunette Races are hosted by the A.B.C. Amateur Race Club, a community group that celebrated 100 years in 2010! It's a Territory Tradition! The races are held at the A.B.C. 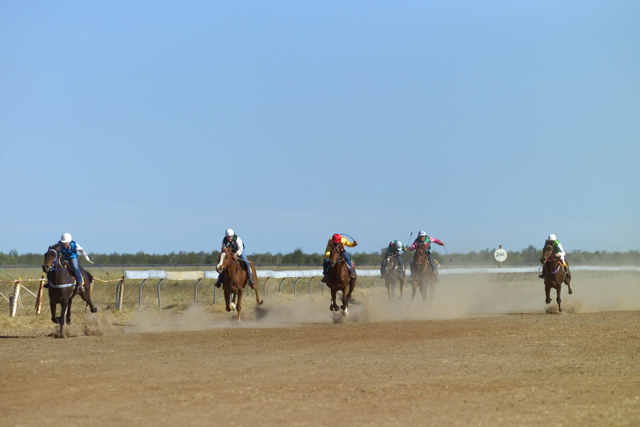 Amateur Race Club race track, located on Brunette Downs Station, which is situated on the Barkly Tablelands, Northern Territory , Australia. 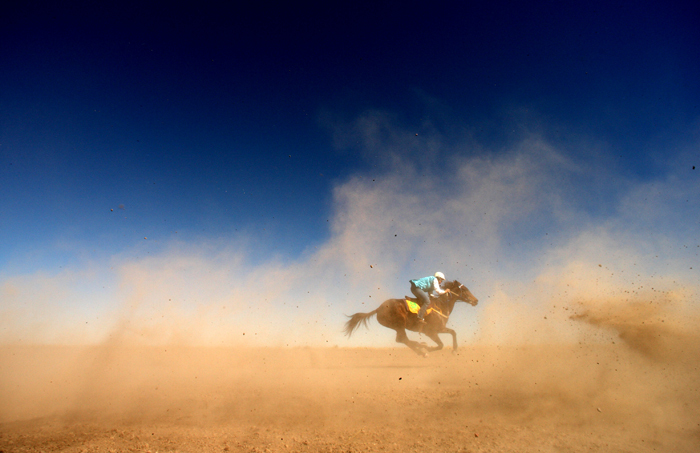 Now heading for their 108th year, the races are Australia's best kept outback secret! Four and a half days of non stop outback fun and entertainment, the Brunette Races is an event not to be missed. 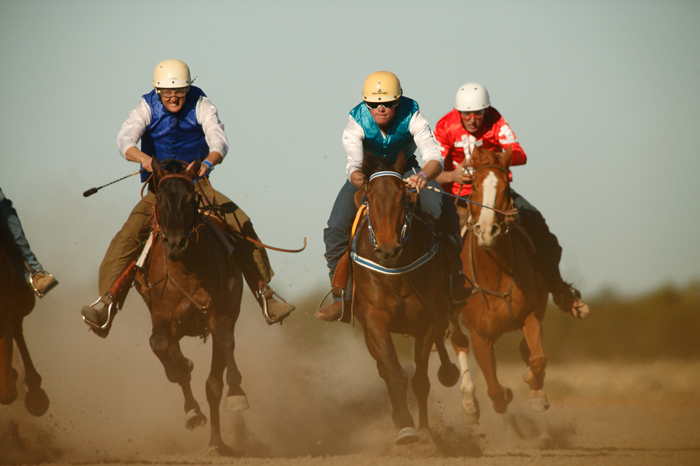 Located 135kms north of the Barkly Homestead, the Races are the biggest event on the Barkly Tablelands Social Calendar and attract visitors from all around Australia. Why not come and see for yourself what all the fuss is about? With the constant upgrading of camping facilities and increases in prize money, this year promises to be the biggest and best yet! So browse our website and see what we are all about! The Brunette Races are four and a half days packed with great country fun. Everyone is welcome, bring the camping gear, some warm clothes and don't forget your races outfit! There are a great range of events to suit all ages and participation levels. As well as the standard program of amateur horse racing, campdraft and rodeo, there is kids gymkhana, adult barrel racing; and a variety of kids events for those without a horse also. For those feeling athletic there is the very popular iron man and women events known as the "Battle of the Barkly". This event puts the competitors through their paces at a variety of every day station tasks that have been "adjusted" to add to the challenge! Bush camping is included in the entry fee, and a bar and canteen operate over the whole event. So, where ever you are, pack your swag and make tracks to the Brunette Races this June. From the Barkly Homestead NT, turn north along the Tablelands Highway (follow the signs to Borooloola), 130km, then look for the signed turn-off to the right. From the Hi-Way Inn, Daly Waters NT, turn east (again following the signs to Borooloola), 270km to Cape Crawford, then turn right onto the Tableland Highway. Drive approx. 260km then watch for the signed turn-off to the left. From the Tablelands Highway, it is approx. 14km of maintained gravel road (two wheel drive access - drive to the road conditions).